The MITRE Corporation, in collaboration with the U.S. Food and Drug Administration (FDA), released the Medical Device Cybersecurity Regional Incident Preparedness and Response Playbook in October 2018. The playbook outlines a framework for health delivery organizations (HDOs) and other stakeholders to plan for and respond to cybersecurity incidents around medical devices, ensure effectiveness of devices, and protect patient safety. The healthcare sector knows how to prepare for and respond to natural disasters. However, it is less prepared to handle cybersecurity incidents, particularly those involving medical devices. Recent global cyber attacks highlighted the need for more robust cybersecurity preparedness to execute an enhanced, effective, real-time response that enables continuity of clinical operations. The playbook supplements existing HDO emergency management and/or incident response capabilities with regional preparedness and response recommendations for medical device cybersecurity incidents. 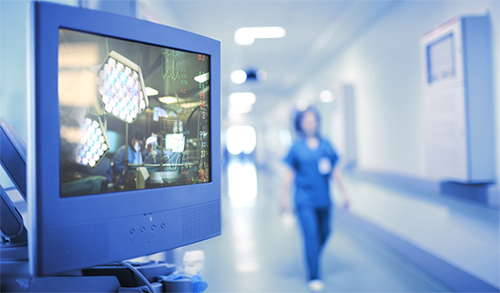 The playbook outlines how hospitals and other HDOs can develop a cybersecurity preparedness and response framework, which starts with conducting device inventory and developing a baseline of medical device cybersecurity information. With this playbook, HDOs will be well positioned to manage these incidents through planning and practice, along with the support and collaboration of manufacturers and regional and national partners. In collaboration with the FDA, MITRE convened and consulted with several HDOs, regional healthcare groups, researchers, state health departments, and medical device manufacturers to help develop the playbook recommendations. The recommendations are practical steps to address some of the shortfalls outlined in the Report on Improving Cybersecurity in the Health Care Industry, issued by the Health Care Industry Task Force in June 2017. View full Medical Device Cybersecurity Regional Incident Preparedness and Response Playbook. Michelle Herd is a communications strategist for the MITRE Corporation.